This hypnotizing beauty of Green Feather Diamond Pendant has a lovely green flower at its heart with bejeweled diamonds surrounding it in the shape of a feather. 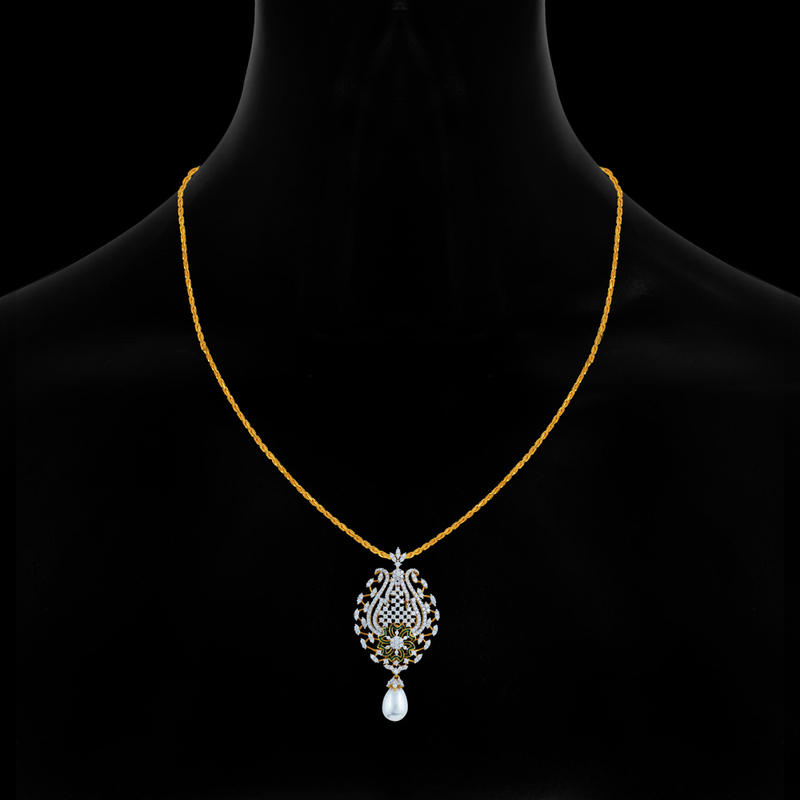 Made of 18K gold has a stone weight of 1.646CT this designer diamond jewelry is a stunning piece of art, meant to enhance the sparkle in your overall look. Grab these beauties and flaunt it like a goddess.